A complete set of string sofr a Baritone Ukulele tuned DGBE. 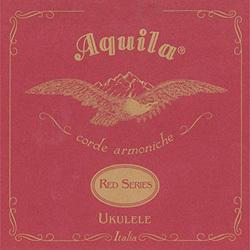 The Red Series has a wound G and C. So the set has two wound and two reds. 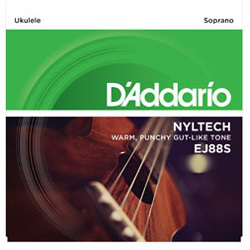 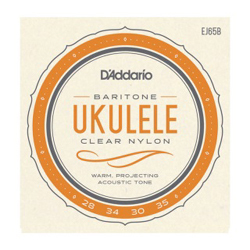 D'Addario EJ65B strings are designed specifically for baritone ukuleles. 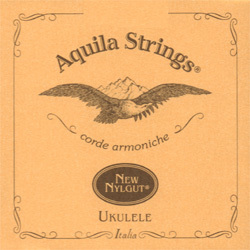 The 3rd and 4th string are a silver-plated copper wound on nylon and complimented by a 1st and 2nd Pro-Art� Custom Extruded clear nylon strings. 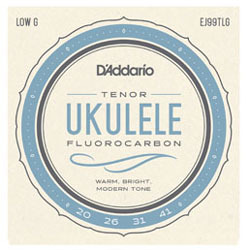 The EJ5T Tenor Ukulele sets is an all-nylon string set inspired and guided by the virtuosity of D'Addario ukulele artist, Jake Shimabukuro. Each string is manufactured on D'Addario's own advanced monofilament extrusion line built exclusively for the production of musical instrument strings. 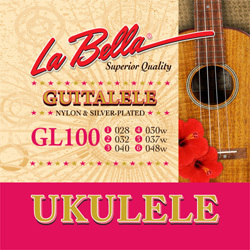 The EJ5TLG Low-G Ukulele sets are designed for usage on tenor ukuleles. The 4th string is a silver-plated copper wound on nylon and complimented by 1st, 2nd and rd Pro-Art� Custom Extruded clear nylon strings. 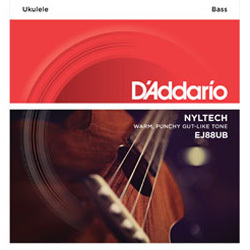 D'Addario EJ88UB sets are designed for use with standard Ukulele basses. 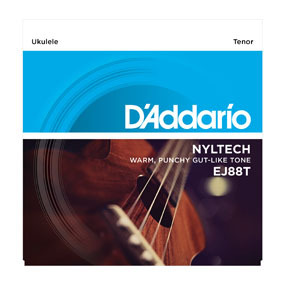 Each string within this set is made from our exclusive Nyltech material and optimized for standard EADG tuning.